I had mention in few posts that I'm not the biggest blush fan. 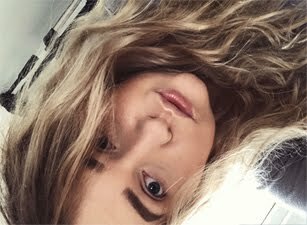 I can easily go with out it as my cheeks are naturally very pink, even foundation can't cover it up sometimes. There are only 4 blushers in my collection. Just right amount, I still want two more from MAC Harmony&Peach Melba (will pick them up on airport, to save some money). No pink for me, having pinky cheeks means no more pinks on my cheeks. I like to go for brownish/orangish blushers more. My favourite blushers is Estee Lauder in True Sand, never thought that I will even look at Estee Lauder blushers, I just went to get colour match with EL Double Wear foundation and she also tried this blusher on me. I fell in love. 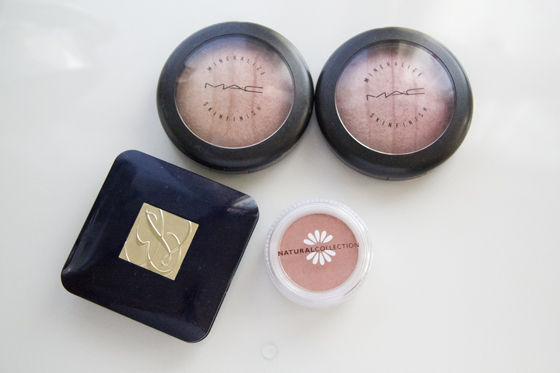 The MAC MSF blushers/highlighters are from the Naturally Collection, I really like both. Redhead is more suitable for my completions. I heard many goods about Natural Collection blushers so I decided to give a go to Peach Melba and I must say it's amazing! The pigmentation is really nice, as well as the colour looks really nice on me. I hope you like my small collection of blushers. I'm planning to show you my foundations collection soon. Is there anything you will recommend to me? Tomorrow I will take pictures of swatches so I could do lots of reviews. Thanks for following my blog. I think I need to get the Natural Collection one haha! I'm not the biggest blush fan either, I have a few which I really like but I hardly every buy new ones! That Natural Collection one looks lovely though, such a pretty colour! I love Peach Melba by Natural Collection, I think I'll save up for some MAC MSF's they look lush! Great post! 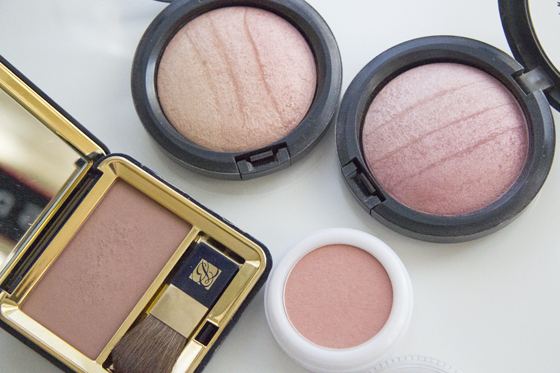 Love your blushes!